December 22, 2012, was a good day for some; this is because the world is still standing and did not come to an end the day before as some doomsday prophecies have theorized. However, while Dec 21 may have passed without incident, this does not mean mankind is out of the woods yet. 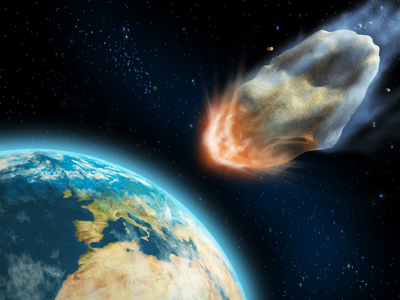 Letting our guards down may be a little bit premature as astronomers have detected an asteroid heading right for Earth. The asteroid is estimated to be about 140 meters and was discovered by scientists from the University of Hawaii. While the asteroid will just barely miss our planet by about 890,000 kilometers, the fact that a behemoth rock is able to come that close is reasonable cause for alarm. The reason we should worry is because that very same asteroid could change course and be headed back at Earth’s direction in the year 2040. This is due to a phenomenon known as the Yarkovsky effect. The effect occurs when an asteroid absorbs energy from the sun, which can alter the original direction of the object’s trajectory. The asteroid in question is relatively the same mass as the one that slammed into an uninhabited area of Siberia in 1908, which caused an impact comparable to that of 1,000 atomic bombs going off at once. Most astronomers agree that being hit by an asteroid is not a matter of “if” but “when.” For this reason, The B612 Foundation, a California based organization, is in the process of obtaining a half billion dollar fund for an infrared space telescope that is capable of detecting large celestial rocks that may pose a threat to Earth. The telescope they hope to produce is called the Sentinel and will orbit the planet and take pictures of the sky and relay it back home. Detection is the key because we cannot stop what we don’t see. It is estimated that the Sentinel will be able to capture the locations of about 10,000 new asteroids every month. Christmas is normally one of those rare moments when you allow yourself to indulge whatever is on the dinner table. This means scarfing down that extra helping of turkey and following up with a large plate of pie with a scooping of ice cream. Now that Christmas is over and New Year’s is approaching, dieting may be a part of your resolution for 2013. If so, then you may want to consider chewing your food for longer periods as a way of reducing appetite. New research suggests that chewing every mouthful of food for a minimum duration of 30 seconds can serve as a powerful appetite suppressant. This means less snacking after a meal, which means less calories consumed. The experiment was conducted at the University of Birmingham and consisted of 43 student volunteers who were all given identical meals of the same type and portion. A third of the participants were simply instructed to eat as they usually would without any deviation. Another third was told to pause for 10 seconds between each swallowing of food and the final third told to chew for 30 seconds with each bite. Two hours after the meal, they were given a plateful of sweets and were monitored on the amount they consumed. The results showed that those that ate the meal in their normal manner and those that paused between bites ate twice the amount of sweets on their plate as those that chewed their meals for 30 seconds. However, further analysis showed that chewing foods for prolonged periods also came with a price. Those in the study that were instructed to chew their foods for 30 seconds also reported less enjoyment of the food as it felt more like a chore. Nevertheless, chewing your foods for longer duration may be worth a try if you are trying to fit into a new dress of pair of jeans for 2013. Maybe you look at them, maybe you don’t. However, for health buffs, the nutrition label is an integral piece of information that determines whether a particular type of food should go in their shopping cart. Some experts, however, agree that the nutrition label is outdated and needs to be revamped. 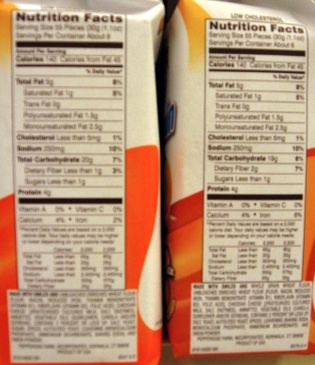 As 2013 approaches, some changes may be made to the nutrition label that we are so accustomed to seeing on food packages. According to the Center for Science in the Public Interest, the changes should place more emphasis on the total calories and remove the section that indicates the amount of calories from fat. CSPI also expressed the need for changes in the food itself. This includes pressuring manufacturers to put an end to the use of partially hydrogenated oils. In addition, it also added that labels should use the word “high” to indicate when a food is high in cholesterol, sodium, added sugar and saturated fat. Also, the CSPI is recommending that nutrition labels be moved to the front of the package rather than being on the back or the side. On top of the changes, CSPI is also mounting an effort to put a halt to labeling that is deemed to be deceptive. This includes using terms like “heart healthy,” “natural,” “antioxidants” and “0g trans-fat.” That last one is especially deceptive as any food that contains partially hydrogenated oils contains some level of trans-fat. Other health experts have all echoed similar sentiments and believe that the nutrition label should actually contain less information as this makes it easier for consumers to skim and read. Even with changes in the label, a lot of it still comes down to common sense. If you are trying to slim down, then it is not rocket science to know that a bag of potato chips or cookies is not going to do you any favors regardless of what the label says. Hunger seems to be a straightforward logic. We eat whenever we are hungry and consume a portion amount in relation to the size of our appetite. This will normally stave off hunger until it is time for the next meal. However, a new research suggests that it may not always be our stomachs that dictate the level of our hunger. Recent study shows that our perception of the amount of food on our dinner plate may have a huge influencing factor. Additional findings also suggest that other factors like eating while watching television or while browsing the Internet can cause one to eat more than usual. The most recent research shows that short-term memory may also determine appetite levels and that hunger can be predicted not by the amount of food consumed but by how much one believes he has eaten. 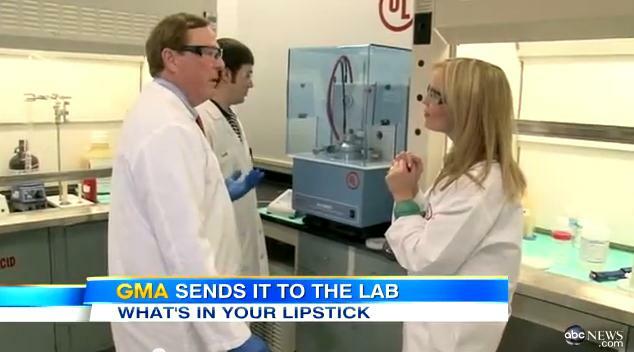 The experiment was conducted in the U.K. and consisted of 100 adult participants. Each volunteer was given either a 10-ounce or 17-ounce bowl of soup and told to consume the entire portion. However, unbeknownst to the participants, the bowls actually contained a concealed tube that would either refill or drain the amount of soup that was in the bowl. This meant that those who eaten from the 10-ounce bowl may have actually consumed more and those with the 17-ounce bowl may have eaten less. As expected, those who consumed more soup reported feeling more full. However, when asked again three hours later, the level of fullness was only dictated by the amount of soup that was believed to be consumed. Regardless of how much soup they really had, those who ate from the 17-ounce bowl reported feeling more stuffed than those that ate from the 10-ounce bowl. The conclusion definitely seems to suggest that hunger and volume of food consumption is something that is dictated more by our eyes and perception rather than what our stomach actually feels. Sure, they may be high in carbs, but who doesn’t love their morning bagel, the pasta at dinnertime and the Mac-and-cheese they serve their kids? If you are among those who have to have a serving of rice or bread with every meal, then you might be alarmed to hear that global warming may soon make it harder to obtain the food that has become such a main staple in our diets. 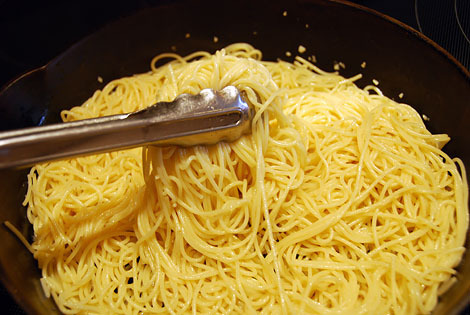 Pasta and bread are derived from wheat, and scientists are in near unanimous agreement that climate change can have a drastic impact in its production especially as temperatures continue to rise and droughts become increasing severe. Global warming is responsible for extreme and violent storms as was evident in the aftermath of Hurricane Katrina and Sandy. However, powerful hurricanes and flash floods are not the only worries. Rice, wheat and corn are the foods that most populations around the world rely on. These three are basically crops that grow optimally during the cool season. Wheat production has declined by over five percent in the last 50 years. This is believed to be attributed to the one degree Fahrenheit increase in global temperatures. Some experts project that wheat production will decline by another 23 to 27 percent by the year 2050 if no actions are taken to curb the rise of climate change. Currently, there is action that is being taken to develop different crop systems that are able to tolerate and thrive in warmer temperatures. 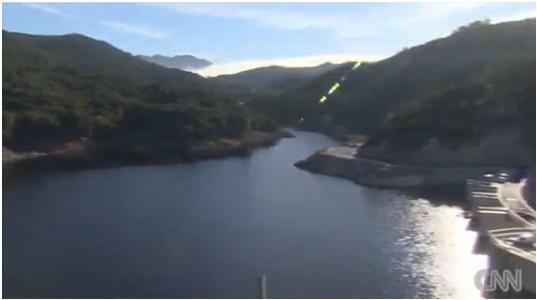 This past July was the hottest recorded summer in U.S. history. This has led to a decline in soybean and corn production, which has caused massive protests all over the world over rising food costs. Unless swift action is taken, out future may be devoid of the food we take for granted today. Practically everything has gone digital these days. Daily activities like work, corresponding with family and friends, paying bills and making purchases are increasingly being completed in a digital format. It looks like even our health, diet and fitness is taking a digital turn. 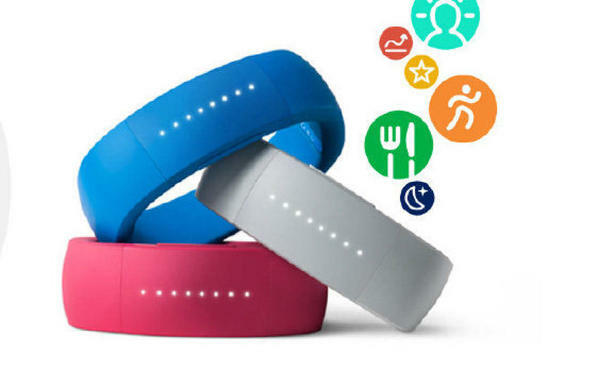 A new app is being released in conjunction with a wristband that will help one monitor his health and activity levels. The new app is called Larklife and acts as a digital personal coach that keeps tabs on your fitness level as well as your diet and the amount of sleep you are getting. Larklife comes with a wristband, which gathers data about activities within your body and transmits the information to your mobile device. The app will let you know if you are not getting enough exercise, are not consuming enough fruits and veggies or if you are not getting in your eight hours of sleep each day. The app will provide advice throughout the day depending on what you are doing with your body. If you wake up in the morning with minimal sleep, for example, then the app may recommend that you consume an extra helping of protein for breakfast to help improve focus, which is often lacking when someone is fatigued from a poor night’s rest. Likewise, if you complete an intense exercise session, it may advise you to consume extra H2O to stay hydrated. The wristband will even remind you to stand up and stretch if you have been sitting for an extended period of time. For serious dieters, the app and wristband will record and log your meal times as well as keep track of the foods you consumed and provide advice on the foods you should prepare for your next meal. Larklife was created with information gathered from a team of experts in the field of fitness, nutrition, sleep and neuroscience. A “toxic” fashion show was held in Beijing to spread public awareness about the apparel industry, which is being targeted for its use of hazardous chemicals. The fashion show was organized by Greenpeace; the organization recently released a study that shows that as many as two-thirds of apparel that are manufactured contains traces of dye that can be harmful to the environment. The campaign group is now pushing for action to have all fashion apparel companies to agree to produce eco-friendly apparel by the year 2020. This will require suppliers to look for alternatives that do not release toxic chemicals into the atmosphere. According to Greenpeace, it tested 141 pieces of apparel from 20 top apparel manufacturers with a global presence. Each garment was tested for chemicals that may pose a threat to human health or the environment. The clothing are manufactured from 18 countries, most of which are from developing nations. The findings showed that 89 of the garments showed traces of nonylphenol ethoxylates, which can break down and produce chemicals that can disrupt hormones in the body. In addition, two of the garments also contained detectible levels of toxic phthalates, which is commonly found in dyes and can cause cancer. For the toxic fashion show, one model toted an IV bag with orange slime oozing out; another model wore a neck brace along with an oxygen mask. A third model wore black powder on her eyes to simulate the appearance of bruising and had her arm in a sling. The purpose was to make a grim statement and visualization of the adverse environmental and health impact that the apparel industry is causing. As the fashion season approaches, more clothes will be purchased and discarded, which means they will likely end up in the landfill where the chemicals from the garments will be released into the air. Camping outside a store right after a Thanksgiving meal with the family has practically become a tradition for most people. During Black Friday sales, most retail shops open their doors at 5 a.m., which means shoppers will need to reserve their spot in line the night before if they want to be one of the first to get inside once the door opens. However, in an effort to become more competitive, some shops are now opening a few hours earlier. It actually started a few years ago when some places began opening at midnight, which didn’t seem like a bad idea because shoppers can make their trip immediately after having dinner with their families. It also meant they didn’t have to wake up super early the next morning. However, in an effort to really drive up sales, some businesses are now opening their doors in the evening on Thanksgiving Day. Black Friday has now essentially become Black Thursday. Both shoppers and retail employees are now beginning to rebel at the idea. By opening so early in advanced, most shoppers need to get in line by afternoon or even in the morning if they want to be ahead of the pack. This means forgoing Thanksgiving with their families. The same holds true for employees who have to be on the clock when they should be at home at the dinner table. 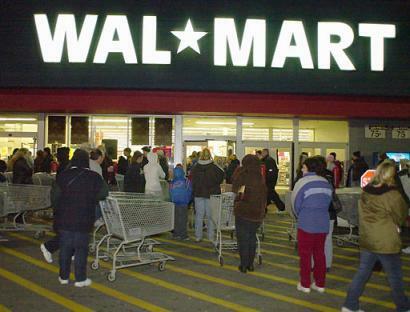 Stores like Wal-Mart, K-Mart and Sears, for example, plan on opening their doors by 8 p.m. Some shoppers and employees have signed petitions urging these companies to “save Thanksgiving” by returning to the traditional Black Friday store hours. For Wal-Mart, at least, they have no plans of changing their opening store hour and say it was the shoppers who requested the earlier time in the first place. For those that truly value holiday family time and are not willing to give it up, there is always Cyber Monday, which offers similar discounts from participating online stores.